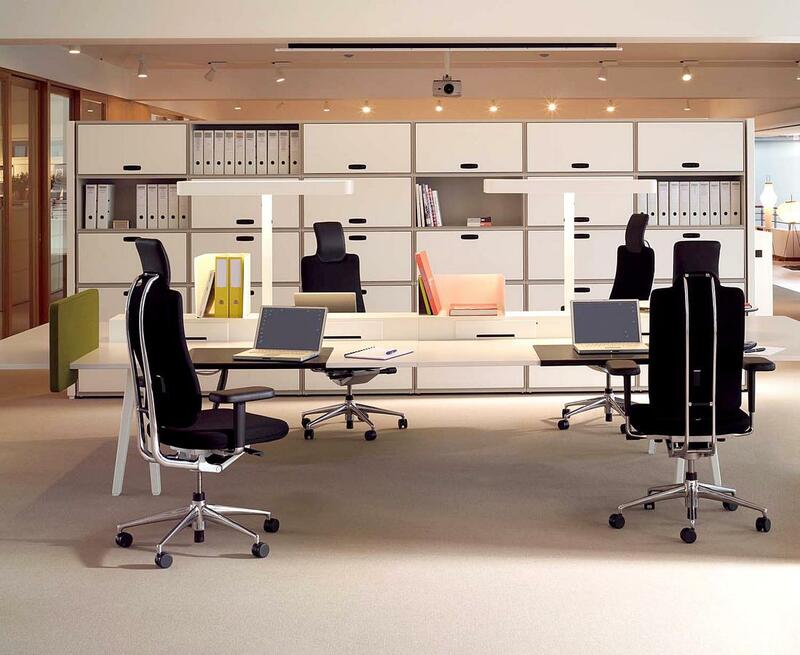 The Headline Management Chair from Vitra embodies the increasing demands being placed on the contemporary office chair to provide a higher degree of luxury at work. With the help of its headrest this comfortable, leather-covered chair allows for ergonomic working positions and is distinguished from other Vitra office swivel chairs by the fact that the design means that the head and shoulders are also stabilized. Care Please maintain and clean the leather according to the booklet included with delivery. 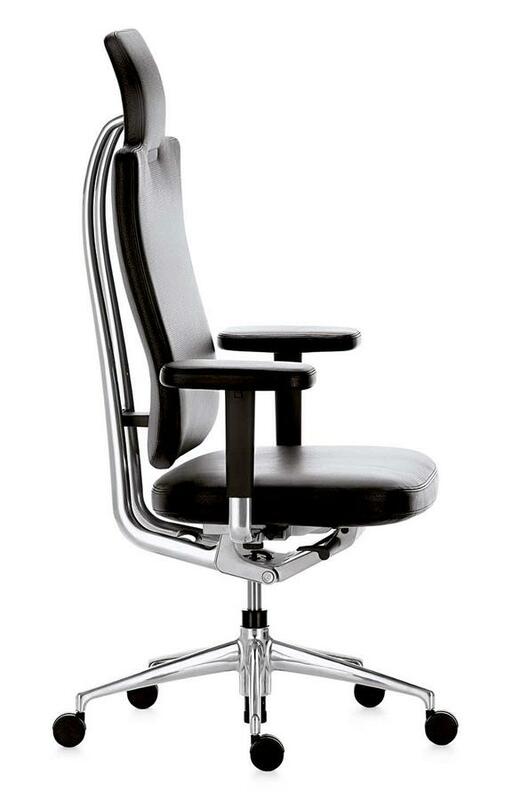 With its noble leather covering the Vitra HeadLine Management Chair is a sophisticated variant of the Vitra HeadLine office swivel chair. 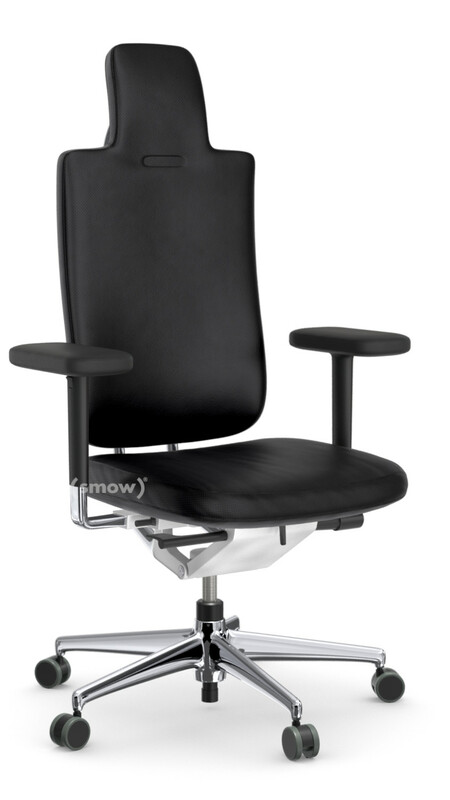 The HeadLine Management Chair is characterized not only by its particularly ergonomic sitting comfort, but also the effortless manner in which it captivates the spirit of representative executive office seating. 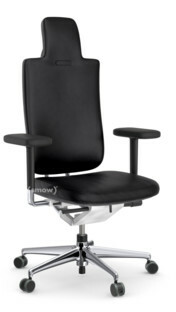 Unlike many other office chairs the HeadLine Management Chair supports not only the lumbar zone, but also the shoulders, neck and head region: head and spine are thus balanced in a natural way when sitting upright - and when you lean back: the mechanism moving with your body to maintain optimal suppor. Thanks to its well considered form the Vitra HeadLine Management Chair is not only ergonomically durable but also fit for the demands and rigours of a modern office work. Mario and Claudio Bellini make furniture design as a family project. 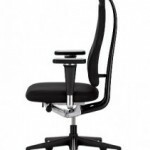 The HeadLine office swivel chair with headrest was, as with the HeadLine Management Chair, created as joint project between Mario Bellini and his son Claudio Bellini. One of the leading protagonists of recent design history, Mario Bellini studied architecture at the Milan Polytechnic and established his own studio in 1973. 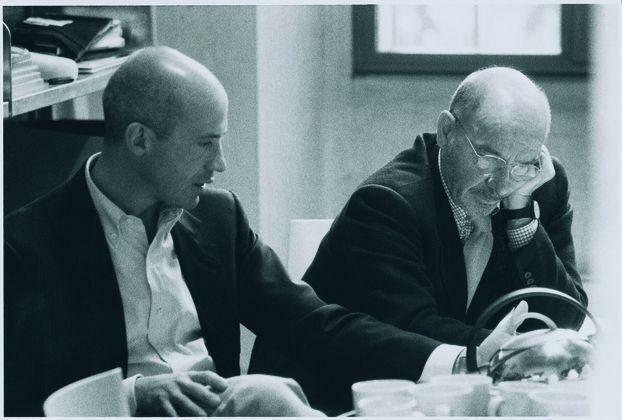 In addition to creating a wide portfolio of products and furniture designs as "Studio Bellini" Mario Bellini worked from 1963 to 1991as a design consultant for Olivetti, from 1978 until 1982 with Renault and served from 1981 to 1991 as editor in chief of the magazine Domus. 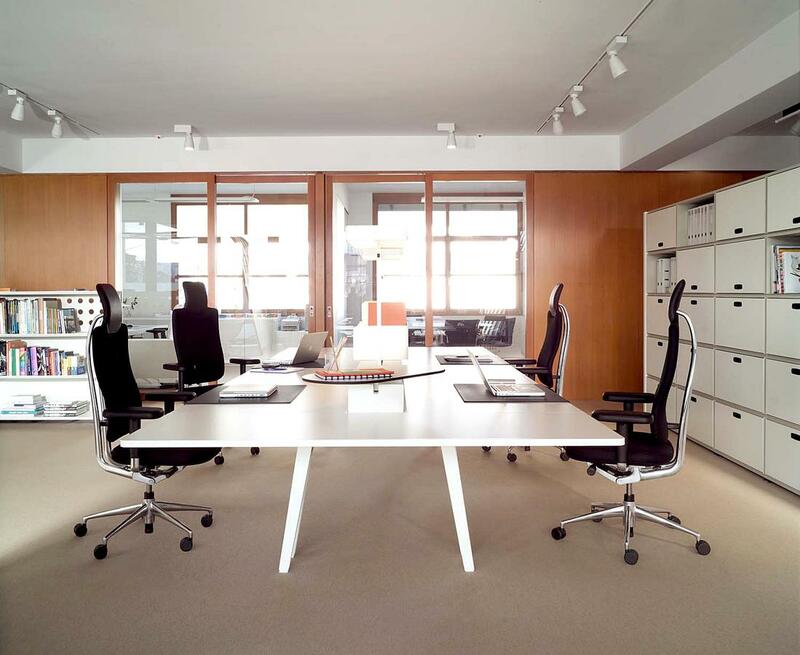 Like his father Claudio Bellini also studied Industrial Design and Architecture at the Milan Polytechnic and has since gone on to produce designs for companies as varied as, for example, Knoll, Poltrona Frau or Steelcase. 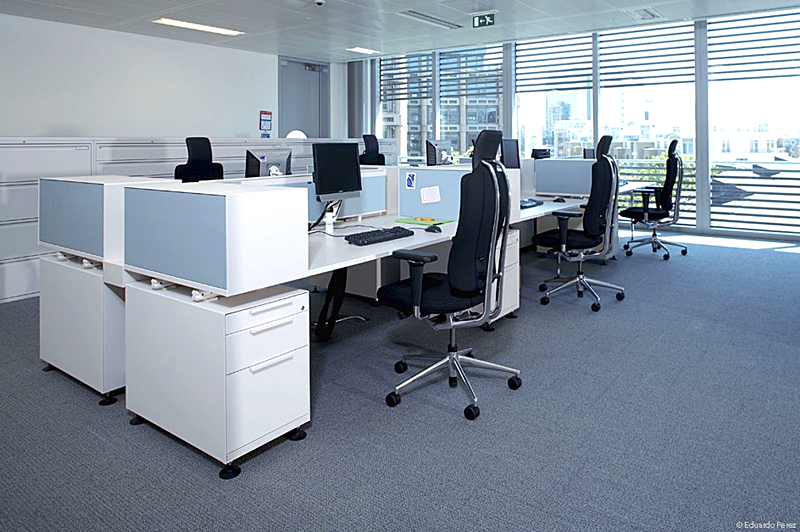 The HeadLine has been part of the portfolio of the Swiss furniture manufacturer Vitra since 2005. Founded in 1953 and based on the extensive Vitra Campus in Weil am Rhein the company has developed over the decades into the world's major influences of contemporary design. In addition to producing works from "big name" designers such as Verner Panton and Charles Eames the works of many younger designers such as, for example, Antonio Citterio or Marten van Severen also dominate the portfolio of this restless designer furniture manufacturer. 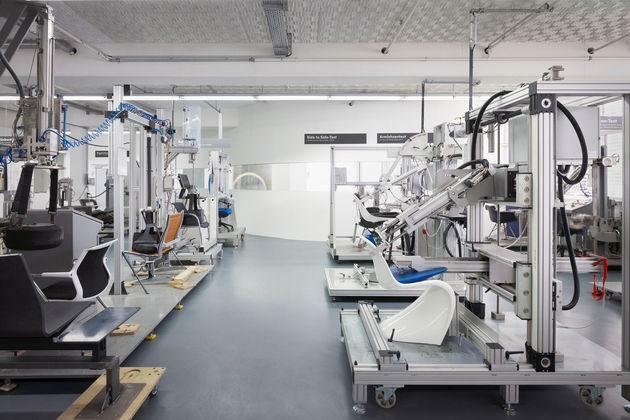 Not only great looks, but also the utilisation of the cutting edge of technology makes Vitra such an important label. 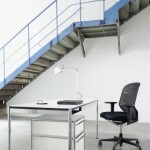 Vitra produces the HeadLine family according to the demands of the office chair ergonomics seal EN 1335. 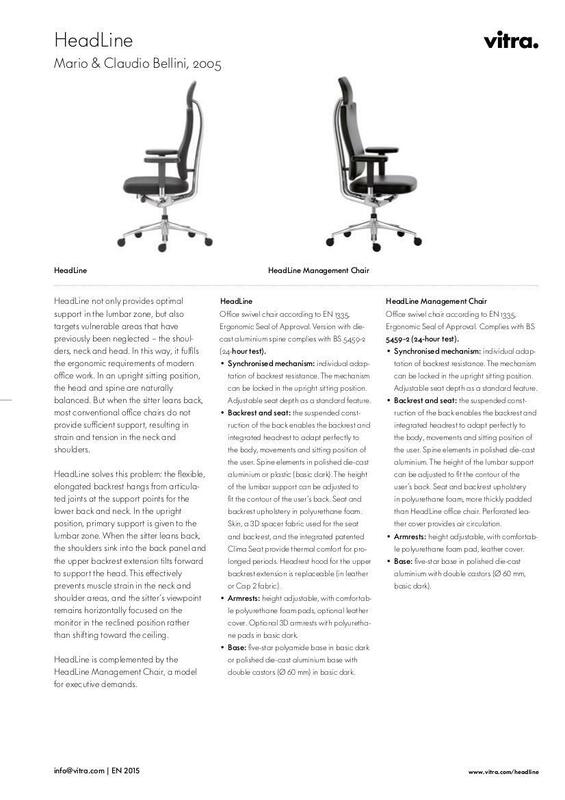 Thoughtful ergonomics and elegant design make the Headline Management Chair the quality office chair. 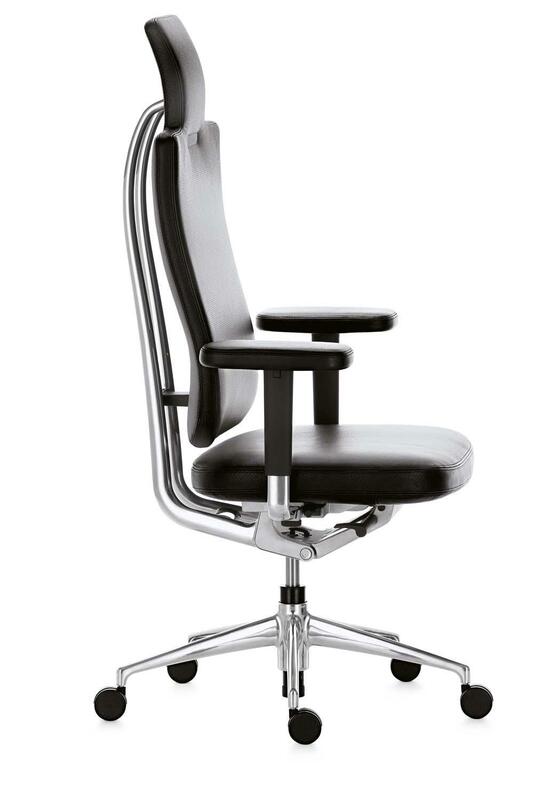 The Swiss furniture company Vitra produces the HeadLine office swivel chair just like the HeadLine Management Chair with spine and five star foot in polished die-cast aluminium. The backrest cushions and the cushioning of the height-adjustable armrests of the Vitra HeadLine Management Chair are made of polyurethane foam covered in high-quality leather. As with all Vitra office chairs the HeadLine Management Chair is manufactured according to audited and certified quality and environmental management processes, and as a measure of its own environmental responsibility the HeadLine Management Chair is composed of 52 per cent recycled materials and is itself 91 percent recyclable. Also at all other levels, the company endeavours to reduce its environmental impact as far as possible; in addition to the careful selection and processing of all materials this commitment also includes packing and transport. Vitra stands for quality, durable products.